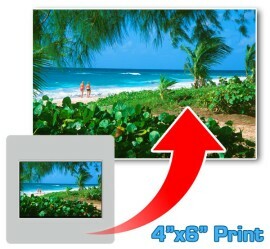 Enter the number of slides that you want printed to this size above in the quantity box and click "add to basket". The more you have the cheaper they are and it will automatically calculate the discount for you. If you have other slides that you wanted printed to different sizes add those to the basket from the correct product pages before checking out. Checkout and complete payment and you will then receive an order confirmation email. Print this out and send it with the correct number of slides to the address below. If you have ordered different sizes from different slides, or if you want multiple or different size prints from the same slide, be sure to seperate them and indicate clearly which ones are for which size. IMPORTANT: We recommend sending them via a secure signed for delivery service to protect your slides as we cannot be held responsible if they got lost in transit. PhotomountsUK c/o JP Photographic Ltd. Please allow at least 7 working days for printing and dispatch from when we receive your slides . Will my image be cropped? If you choose a full frame 2:3 ratio size such as 4x6, 6x9 or 8x12 then we will print as much of your slide as possible. If you choose a cropped print size such as 8x10 then the print will crop into each side by an equal amount to get the correct print ratio. Therefore if you have anything important near the edges of your slide it's best to choose a full frame print size. Can I get a digital copy?